If you’ve been with us for a while, you know that we believe balance is possible in every area of your life. Yes, even parenting! Today, we are talking all about peaceful parenting. I have a fabulous guest who is going to give you all the best tips along the way. Her name is Jessica Kastner, an award-winning journalist, community leader, and full-time working mom. She’s really entertaining and has so much wisdom, so I know you are going to get so much out of what she has to share. Life balance starts first with the Word of God! Today’s Scripture is from both Jeremiah 3:15 and Matthew 9:37. My hope in this interview is that you will learn and have a greater understanding of who you are and what Christ has called us to do in our lives as working parents. Jessica’s wealth of knowledge and deep understanding of the struggles of parenting more than qualifies her to speak into peaceful parenting. She’s been just about every kind of mom you can be since she started out as a single mom, lived the stay-at-home life, and is now working full time. Out of these experiences of challenge, struggle, love, laughter, Jessica wrote her book, Hiding From My Kids In My Prayer Closet. Jessica says her book was written so that other moms could laugh and share in their struggles together. So often in Christian circles, there seems to be an unwritten expectation of perfection. Jessica is reminding you today that is just a lie you tell yourself. Jesus is perfect for us, and all he asks is faith! Are you ready to bring some peace back to your parenting? Jessica’s tips might be just what you need! • Spend quality time with the Lord. • Know that the time you spend with your kids is Quality v. Quantity. • Be present with your kids, even when it’s isn’t fun or easy. • Do everything, even the little mundane things, unto the Lord. • Let go of the Mom Guilt, and do things your own way. 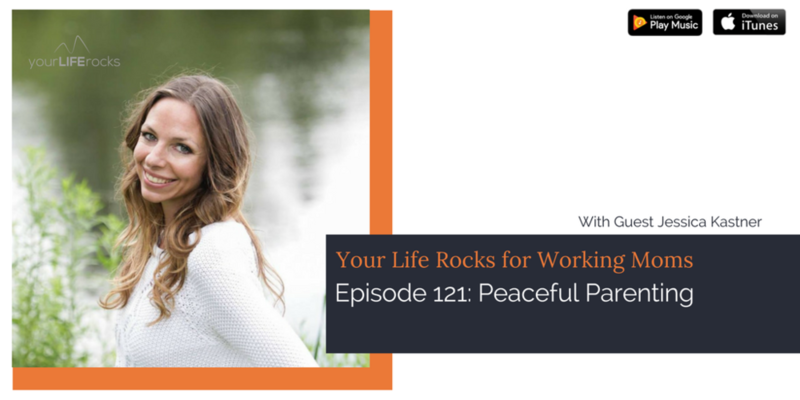 These tips are from one working mom to another, and Jessica and I hope they will bless you in many ways so you can have a little peace in your parenting.